The tracks are perfect for the best dirty fun you can have! 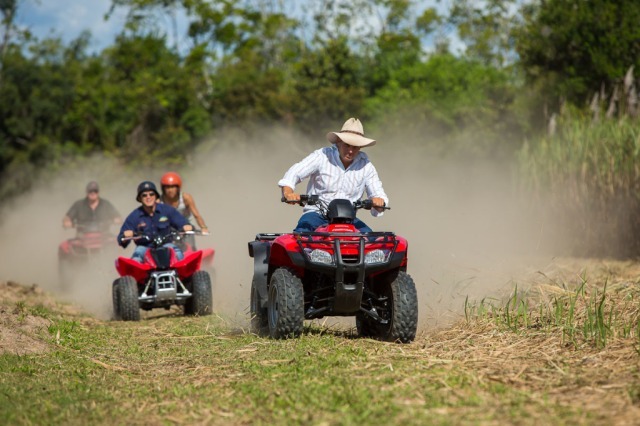 The Quad Bikes are easy to ride and provide the perfect adventure. 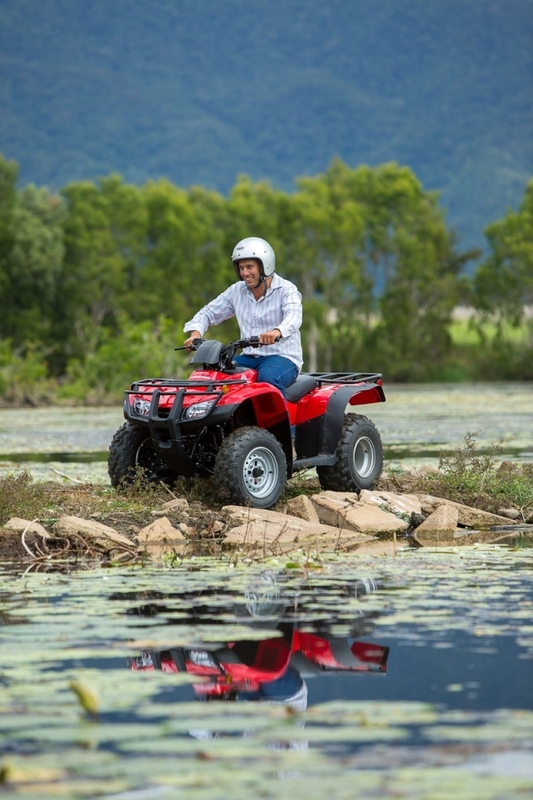 With a fleet of both 90cc and 250cc bikes, your guides will ensure the perfect balance between safety and fun. 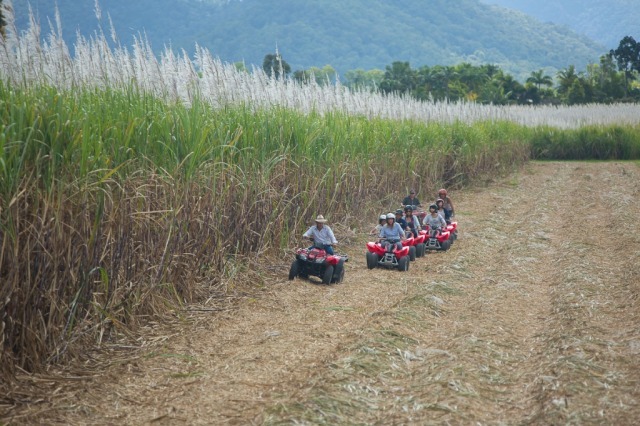 So easy to ride, the group sizes remain small, to guarantee your personalised experience. Anyone can do it! 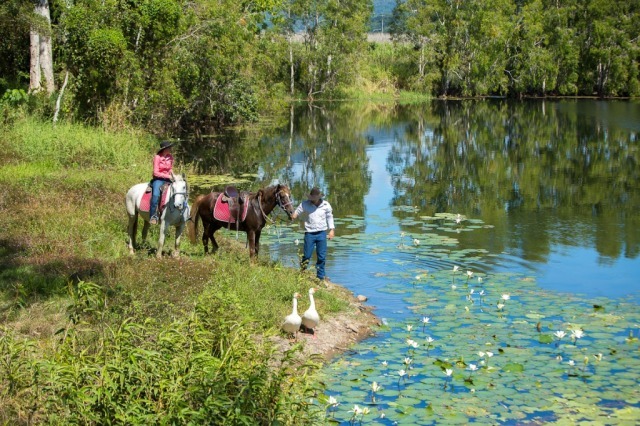 Blazing Saddles is located on a working sugar cane farm and the property boasts an 18 acre billabong which is abundant with native birds and amphibious creatures of all shapes and sizes! 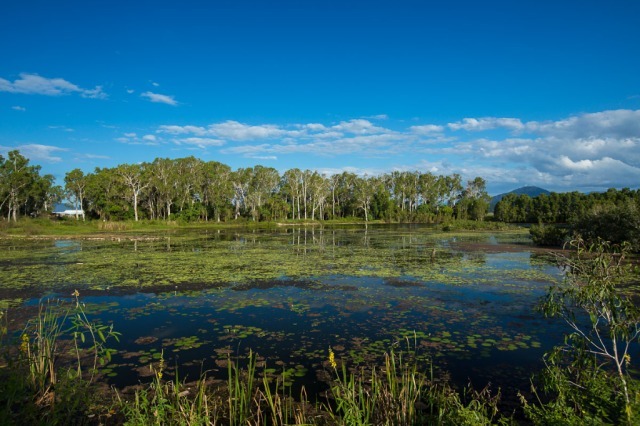 You will even get a chance to meet the resident geese, peacocks, ducks, perhaps even spot a crocodile! 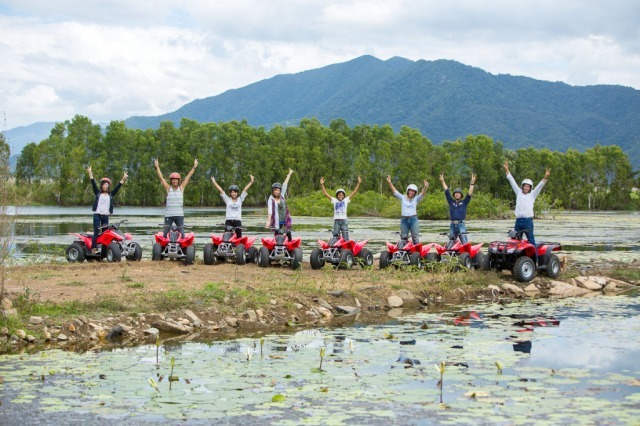 Blazing Saddles ATV offers a ½ day of excitement, and allows the participants to experience nature close up, at their own pace. 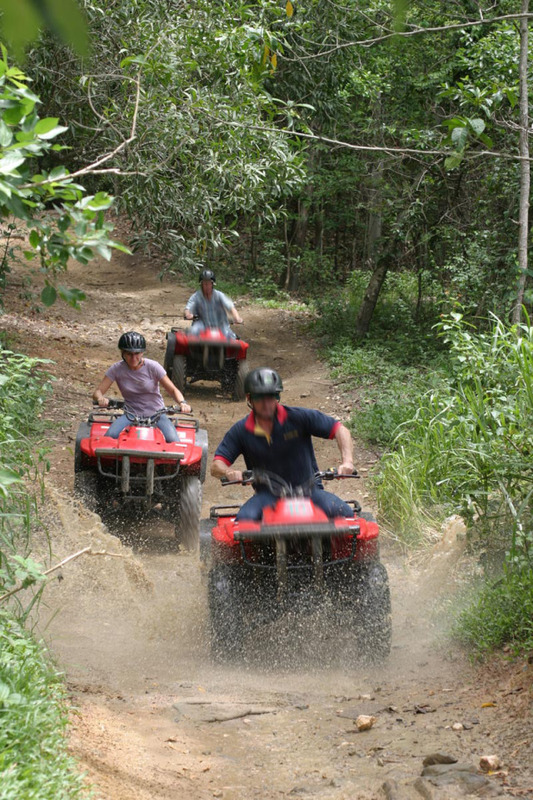 All tours cater for different levels of experience with guides taking the adrenalin junkies on a fast paced ride and another guide taking those happy to cruise. 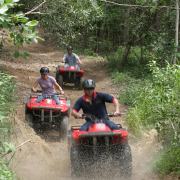 Ride on smaller ATV's that are easier to manage. 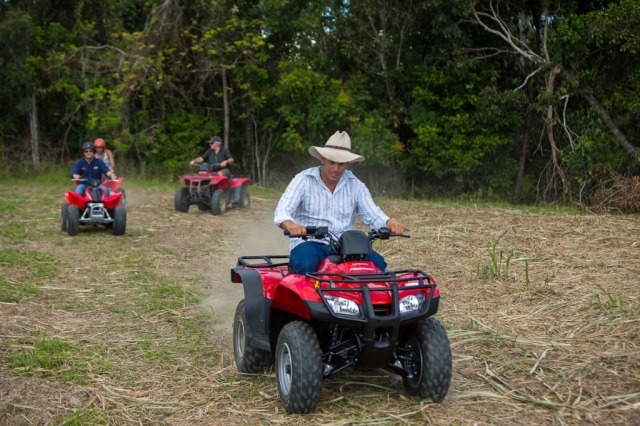 Why not upgrade to include a half day ATV and a half day Horse Ride? 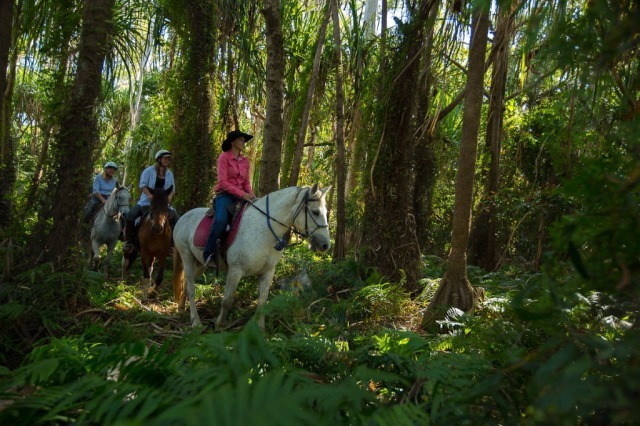 Blazing Saddles Horse-riding tours offer a safe, relaxing way to meander through rainforest pockets, mangrove wetland, sugarcane fields and native bush! 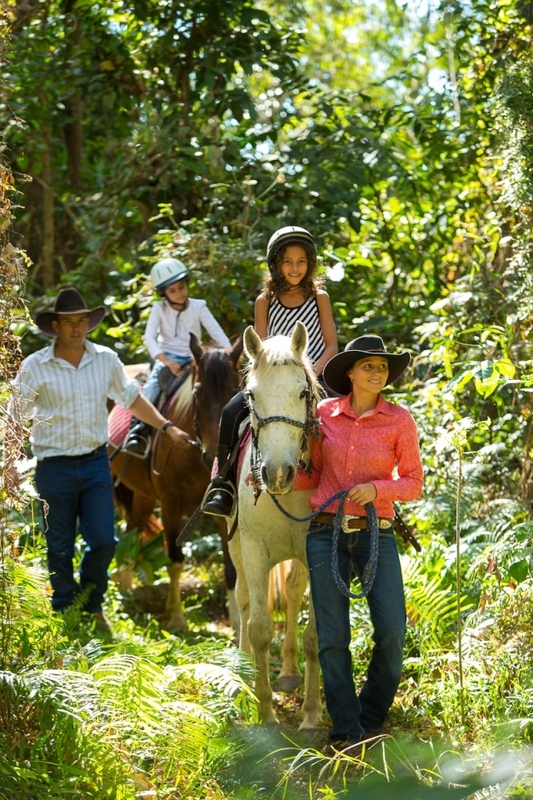 With a stable of horses to suit all ages and levels, this is a perfect family adventure. 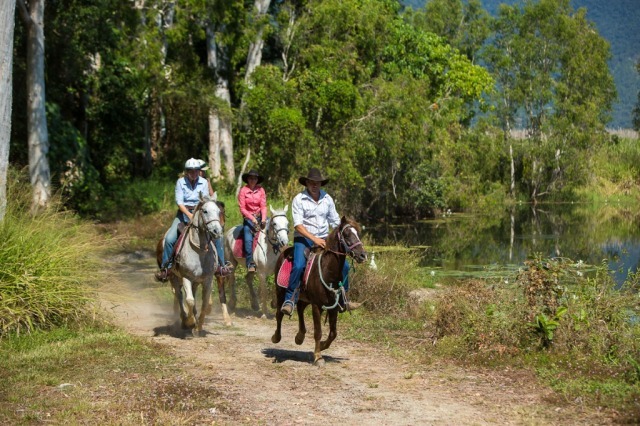 All horses have a friendly, mature nature and will be matched to each riders experience and ability. 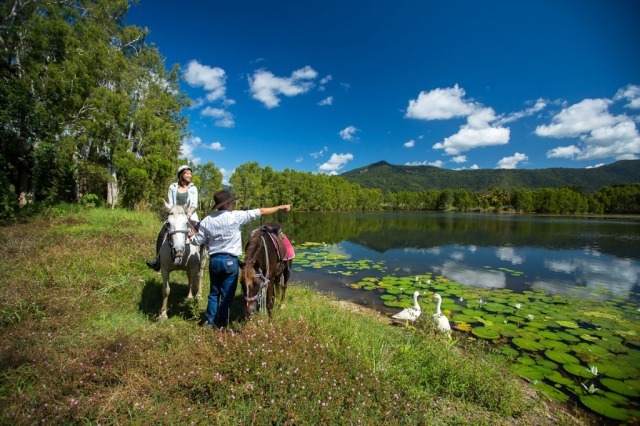 Draw up on horse-back alongside the 18 acre billabong for a billy tea over a camp fire and the chance to see a croc in the wild! 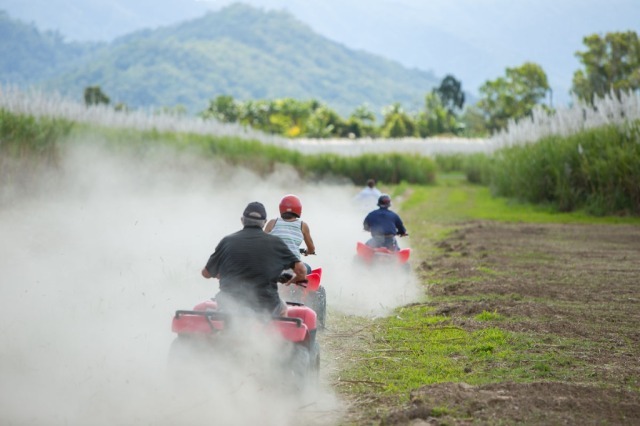 A fun day with the opportunity to make the most of our time on the ATV. Had a great day out. all staff very warm and friendly, made the whole experience even better. As first timers we felt comfortable trying new things. Sausage sizzle was a welcome bonus too. Had a ball! We almost booked for a second day. Had a ball. We had 3 teenagers with us (2 x 14yo girls and a 17yo) & we all thought it was a great afternoon - we almost booked for a second day. Blazing Saddles was awesome - people were soooo nice. 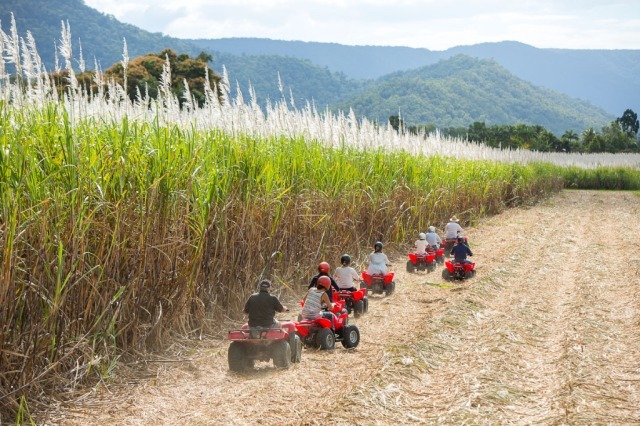 My son and I have done ATVs all over the world this is certainly up there with the best !! 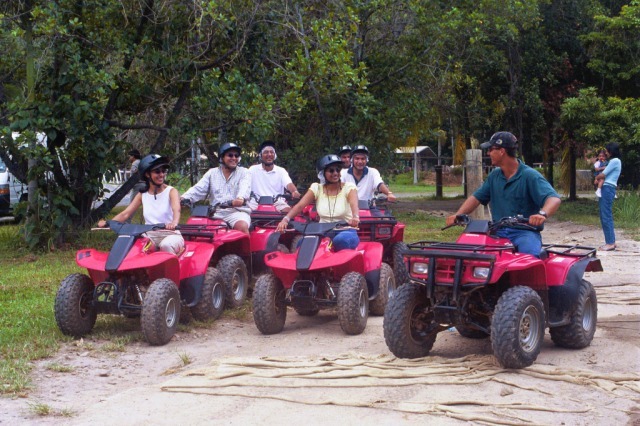 We had a great time on the ATV tour - all levels were catered for. Just because we were female didnt mean that we had to take the easy course - we girls showed them that we were certainly up for the challenge!! A definite MUST next time we visit Cairns. A fantastic day on the property. Staff was helpful and patient. All credit to the professionalism of the staff at Blazing Saddles. Everyone enjoyed this day. My 18 year old daughter said it was her best day. We got very dusty and challenged ourselves and are much more confident riders. Hubby thinks that this would be great for the Blazing Saddles to offer an all day tour for those rev heads who can handle it! Excellent! A lot of fun we laughed and raced our way around the massive RTV, track, would highly recommend it to anyone with a sense of adventure, and speed, with a bit of the devil thrown in for good measure.